You could be $50,000 Closer to HOME!! Thinking of buying a home in Bakersfield? 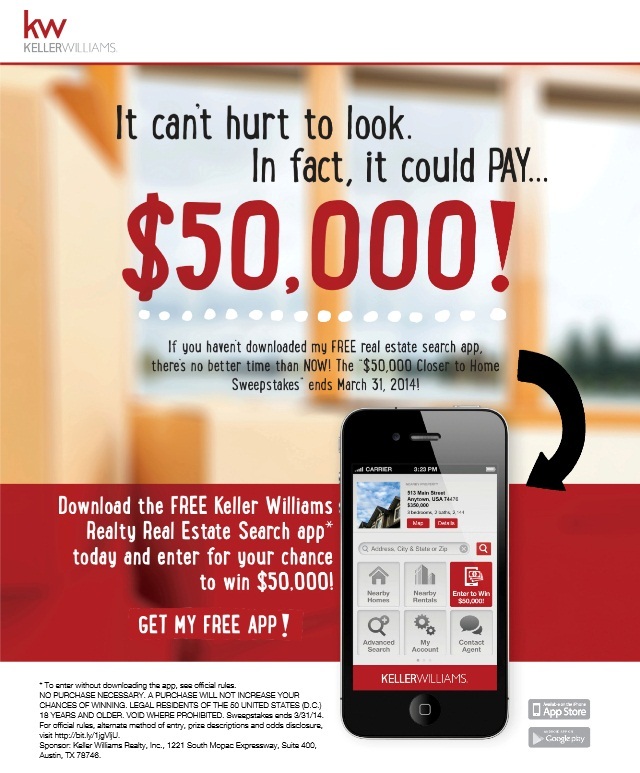 If you haven't downloaded my FREE real estate search app there's no better time than NOW! The $50,000 Closer to Home Sweepstakes end March 31, 2014! CLICK HERE to Down Load the APP!